Myasthenic crisis is a great threat to patients with myasthenia gravis. Usage of non-invasive ventilation (NIV) to prevent intubation and timing of extubating of patients in myasthenic crisis are important issues though not well documented. 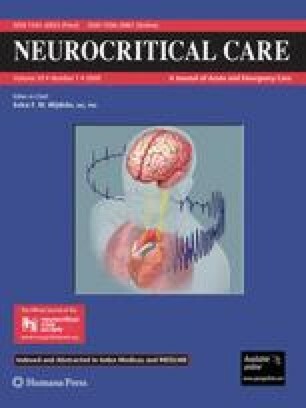 To explore the factors predicting NIV success and extubation outcome in myasthenic crisis, we reviewed the records of 41 episodes of myasthenia crisis. NIV was applied to 14 episodes of myasthenic crisis and eight (57.1%) of them were successfully prevented from intubation. An Acute Physiology and Chronic Health Evaluation (APACHE) II score of <6 and a serum bicarbonate level of <30 mmol/l were independent predictors of NIV success. For patients undergoing invasive mechanical ventilation, extubation failure was observed in 13 (39.4%) of 33 episodes, and the most common cause was sputum impaction due to a poor cough strength (61.5%). A maximal expiratory pressure (Pemax) of ≥40 cmH2O was a good predictor of extubation success. Extubation failure led to poorer outcomes. NIV may be applied to those patients with a low APACHE II score and a lesser degree of metabolic compensation for respiratory acidosis. For patients undergoing invasive mechanical ventilation, extubation failure is associated with significant in-hospital morbidity in myasthenic crisis. Adequate levels of Pemax and cough strength correlate significantly with extubation success. We thank the ICU nurses and respiratory therapists for their help in the care of patients and data collection of this study.